Lola Pug isn’t generally enamoured with larger dogs… to put it very mildly. There are a few exceptions to the rule, and these are usually big dogs who are super gentle, or who are in love with (or indifferent to) smaller dogs. 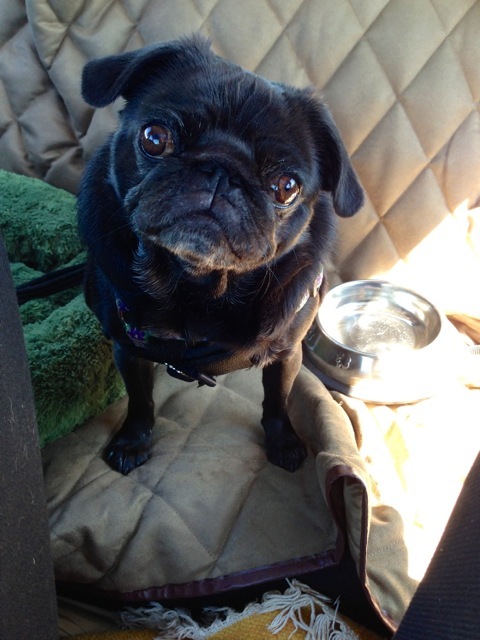 Lola Pug’s friend, Georgia, however, fits into a category all her own…. Georgia and Lola were born within weeks of each other. Back in their puppyhood, Georgia’s Mum and I would often get together to compare our bloody fingers and toes given to us by the teething sharks while the little offenders would wrestle and play. Despite Georgia’s typical GSP bounciness, she and Lola Pug love each other, and they are always happy to see each other. When Lola and I were invited to go over and see Georgia’s new home out of town, we just couldn’t say no to a reunion, so we packed up the car and headed out for a visit. 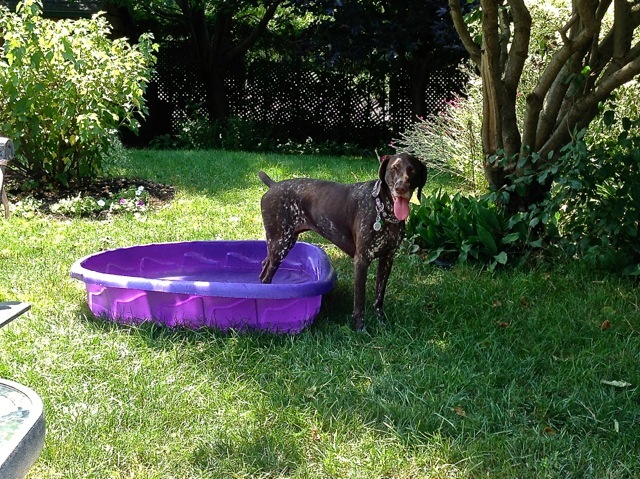 On arrival, as it was a warm summer day, the wading pool was brought out, and Georgia made full, happy use of it. Lola Pug. Not so much. But unbeknownst to us, Georgia had invited some friends over! Thankfully, they were all as lovely and sweet as Georgia, herself, so a lovely afternoon was had by all. Well. 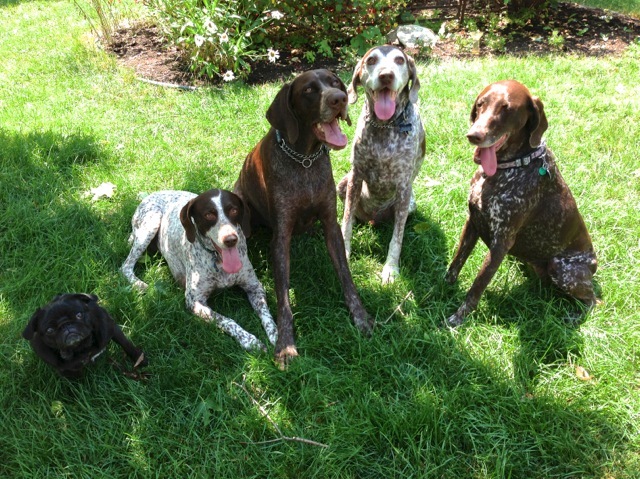 At least the GSP’s look happy. 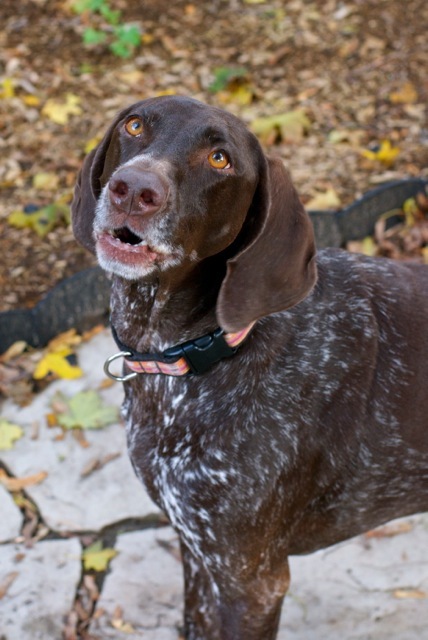 A successful visit overall, though, and every good encounter with a big dog might help LP get over her issues, so thank you, GSP’s, and we look forward to seeing you again soon! Oh, I would SO rather be in the corner all by myself thatn set up with all of those bouncers. Mama says I’m an introvert. I say I’m special. I hope those contract negotiations went well Lola. You certainly looked like you meant business!